Are They Normal Or Is This A Problem? Temper tantrums can be a normal part of child development, or they can be an indication of an underlying emotional problem. They never mean you have a "bad child." We're going to look at the normal development of anger in a child, and how tantrums can fit right into that. We will also look at how these types of emotional "fits" can be an indicator of something else going on. The good news is, the family often has the solution to the problem. And you're going to learn what that is right here. I encourage you to feel confident in your ability to learn, and to do what it takes to get this done. What Are Normal Temper Tantrums? 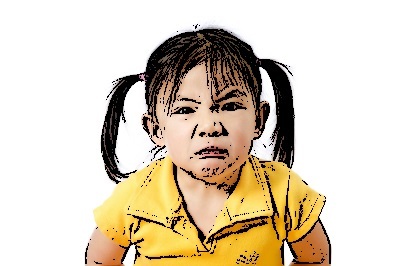 Tantrums, and "angry crying" can be a natural part of a child's experimentation with the emotion of anger. Anger is a protective emotion, and it plays a healthy role in child development. It is the "pushing back" and "standing up" emotion that keeps pain, sorrow and fear (which are also natural) from being debilitating. Where did the idea of the "terrible two's" come from? The emotion of anger usually starts showing up in a child between the ages of 18 and 36 months. The development of anger in a child is as much a milestone as learning to walk and talk. Angry crying, kicking and clinching fists. Thrashing with the entire (little) body, while screaming and/or crying. Pushing away from parents at times, and saying "no" for no particular reason. Resisting baths, diaper changes, etc. Because most people think anger is "bad," it is punished or ignored. Children are not (usually) taught that their anger is natural, and how to express it in healthy ways. Therefore, most children either suppress their anger entirely, or explode. Get the picture? 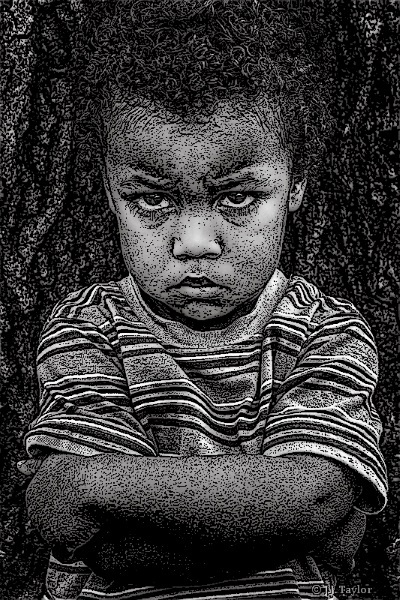 Since the development of anger in a child is totally normal and natural, it could actually make a child more angry when their anger is punished. How Do I Know When There's A Real Problem? Temper tantrums can most certainly be an indication that something is wrong. It never means that your child is bad. It always means that they need your help. Tantrums that last more than a half hour or so. This might not mean there's something seriously wrong, but it shows that something's not quite right, especially if it keeps happening over and over. When anger outbursts become a daily occurrence for several days in a row, the child is not getting something he/she needs. If the problem has been going on for weeks, months or even years, it is time to get some professional help. If tantrums are used to get out of things, or to get what the child wants, then you have a problem. What I mean by that is, the problem is yours, not the child's, if you allow them to control your behavior with their anger. You may want to learn some parenting skills to improve this type of problem. If the child is allowed to hurt her/himself, or someone else, this is most definitely a problem that needs to be addressed. There are a lot of other warning signs of child anger problems, but these basic guidelines will get you headed in the right direction. Now let's look at some solutions to explore if you decide that your child really has a problem and this is not just a normal developmental process. First priority is to make sure you are addressing your own anger issues as a parent, if you have any. Please complete one of our anger management worksheets to assess your anger level. Once you're sure that either you don't have an anger problem< or that you are dealing with it, then you will be much more successful in helping your child with her/his temper tantrums. 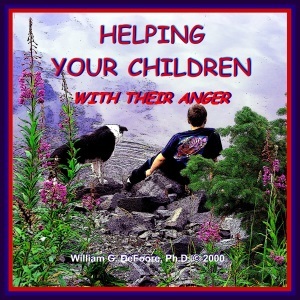 First, read this page on child anger management, and it will give you some great pointers in what to do to form a loving connection with your child and resolve her/his anger issues. It is very important that you understand your child's basic emotional needs. Many child anger issues arise from unmet needs, even if there is no overt abuse present. You will also need to learn the parenting skills to help your child move past their temper tantrums. Do a search on this site using the exact terms to describe your problem, and you will find the guidance you need. Nonverbal communication skills are essential to helping your children with their temper tantrums. Be sure you understand this most important aspect of communication. If you follow all of the above links, read the information, and start practicing the methods you have learned, I think you'll get the results you're looking for. If not, please contact us for a counseling session, to make sure you are giving your child the help they need to become their own best anger management resource and prevent temper tantrums. Powerful and effective! Get the control you need and teach your children control with successful child anger management techniques.